It’s six years later and Ruth Erskine Burnham’s life appears to be perfect. Her husband is a well-respected judge; her elegant home is the envy of her neighbors; and she’s the proud mother of a precocious little boy and step-mother to two grown daughters. But behind closed doors, Ruth’s life is far from perfect. Her step-daughters value fashion over their faith; they’d rather attend parties with friends than attend church with Ruth. And while Judge Burnham knew Ruth was a Christian before they married, he has done his best to lure her away from what he thinks are Ruth’s fanatical Christian beliefs. With pressure from all sides, Ruth struggles to lead the life she knows God wants her to live . . . until events come together to show Ruth that she can influence her family for Christ only if she allows God to work through her. Since the death of her husband, Ruth Erskine Burnham has dedicated her life to her son; and grown-up Erskine is equally devoted to caring for his mother. When business matters require he travel to Europe alone, he surprises Ruth by returning home with a wife! Beautiful, fragile Irene settles into life with her new husband and mother-in-law, but it isn’t long before conflicts arise. Ruth does her best to get along with her son’s new wife, but Irene is a challenge. Irene tells falsehoods, sabotages Ruth’s plans and manipulates family and friends to make Ruth look foolish. Just as living conditions become almost more than Ruth can bear, she learns a stunning secret about Irene’s past. Now Ruth has a decision to make: Should she keep the secret and continue to try to win Irene over? Or should she use the power of the secret to banish Irene forever . . . and possibly lose her son’s love, as well? 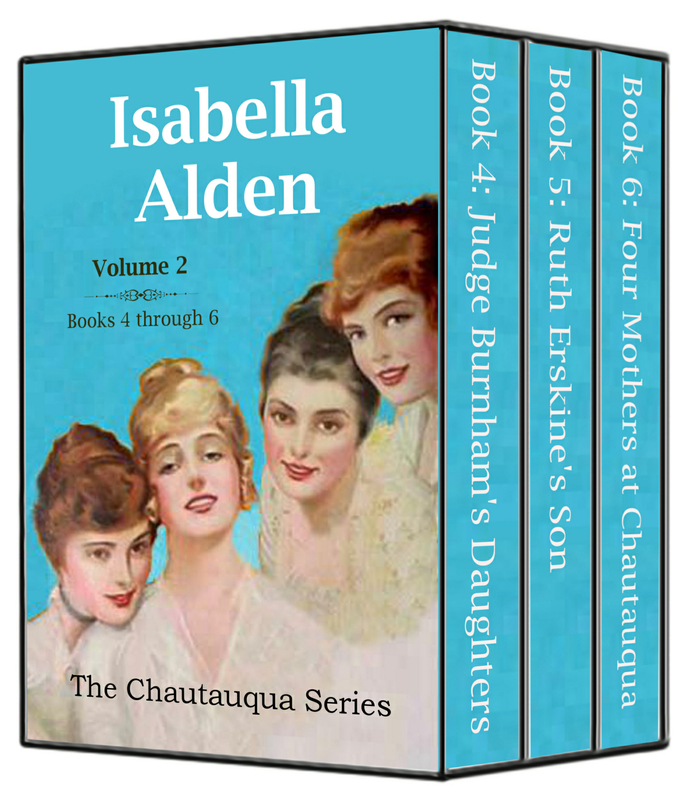 Eurie, Flossy, Marian, and Ruth return at long last to Chautauqua. They’ve brought their grown children and grandchildren with them to spend the summer in fellowship and worship; but for Flossy’s son, Burnham, it’s all a dead bore. He has neither his mother’s faith nor her enthusiasm for the place. And Eurie’s rebellious daughter, Eureka, has a negative influence on Burnham that drives her mother to distraction. But when the Chautauqua Girls band together in prayer, wonderful things can happen. It’s soon clear that Burnham’s indifference and Eureka’s rebellion are no match for the faith and love of four dedicated mothers!